Sometimes referred to as the Marina Arts District, this loft-filled neighborhood of Marina del Rey is known for its industrial architecture, proximity to gorgeous coastline and waterfront activities, and picturesque LA County views. Located within a walkable area - no car necessary, thanks to nearby waterfront trails and local businesses - a recent influx of Marina Loft District apartments and multi-family homes has brought new life and attractions to the area. There’s plenty to do just outside Marina Loft District apartments, from restaurants with handcrafted cocktails and farm-to-table cuisine, to outdoor recreation opportunities and plenty of shopping spots in Marina del Rey and beyond. Take a trip to Venice's famed Abbot Kinney neighborhood, an area jam-packed with shops, art galleries, delicious restaurants and friendly locals. Just a couples of miles north is Main Street Santa Monica, a surf-centric shopping district with locally owned restaurants and handmade goods - a fantastic spot to spend the afternoon, just a few blocks from the waterfront. And back home in Marina del Rey, locals have plenty of restaurants and bars to unwind at after a long day at work or hitting the waves. 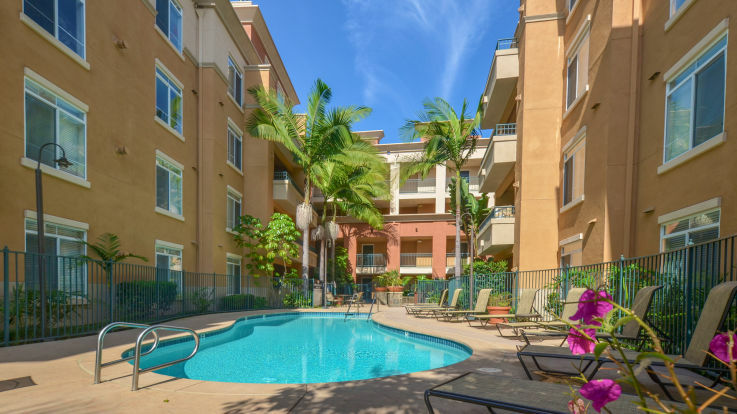 Transportation in Marina Del Rey is a breeze, thanks to close proximity of coastal highways to Marina Loft District apartments. The PCH borders the city’s northeast side, providing a gateway to other areas along the California coast, not to mention world-famous coastal views that draw visitors from all over the world. Interstates 405 and 10 are each less than 20 minutes from Marina del Rey, making it easy to get around and experience everything that California’s waterfront playground has to offer.